https://www.g2a.com/pt-br/search?query=nopingAnalyzing the need for many customers around the world, we have partnered with G2A, one of the largest and most renowned marketplaces in the world. 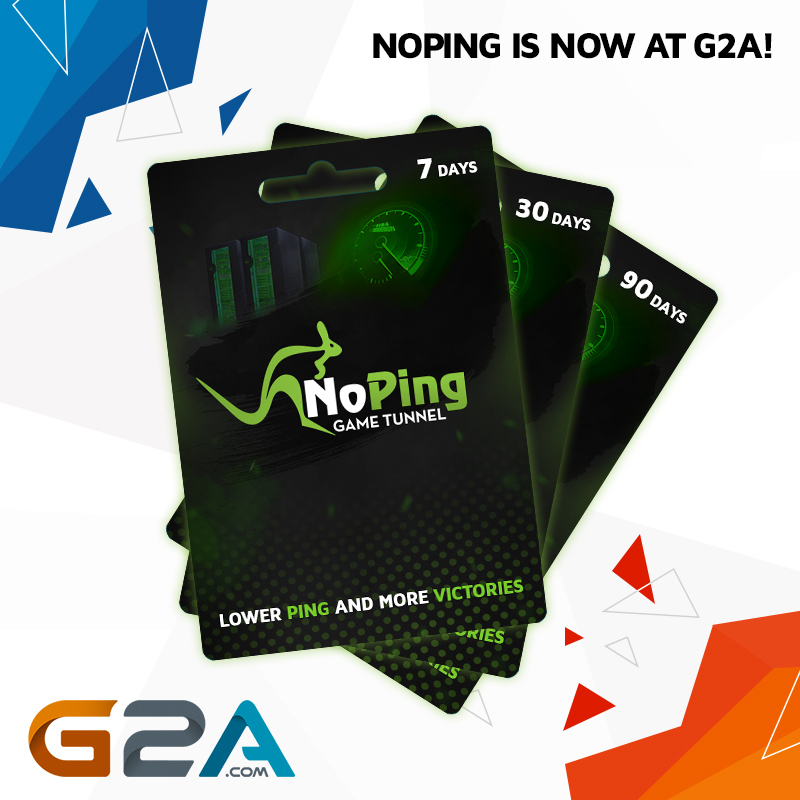 For those who do not know, G2A is a site where you can find Keys from big companies like Origin, Desura, Steam and now also NoPing. To facilitate the sales of our plans, we implemented the G2A Pay checkout. We accept over 150 global and local payment methods such as Credit / Debit Card, PayPal, Paysafecard, Skrill, WebMoney, CashU and Bitcoins. Take advantage now and acquire our plans with total security and practicality to have less lag and more victories.